Peniamina Gospel Day is a public holiday in Niue celebrated in October, typically on the fourth Friday of the month. It derives from the nation's conversion to Christianity. Niue is a small island country located in the South Pacific Ocean. The first missionary to arrive here was John Williams of the London Missionary Society. Upon his arrival in 1830, he kidnapped Uea and Niumaga, two local boys. Williams tried to educate and covert them. However, when the boys returned to Niue, they were no longer accepted by their fellow islanders. Uea was killed, and Niumaga decided to leave for Samoa with his friend, Peniamina Nukai. There Peniamina began to work for a famous missionary, Dr. George Turner. Turner taught Peniamina to read and write and persuaded him to convert to Christianity. 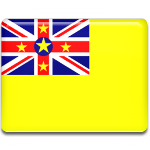 Peniamina returned to Niue on October 26, 1846. He began to preach to Niueans, and many of them accepted his Christian ideals and beliefs. So that is why it is Peniamina who is credited with converting Niueans to Christianity. Today, the overwhelming majority of Niueans are Christians. Most of them belong to the Congregational Church of Niue (Ekalesia Niue). There also are Latter-day Saints, Catholics, and Jehovah's Witnesses.